For me, eating is an experience and if a place is ugly it's more difficult to enjoy my food. 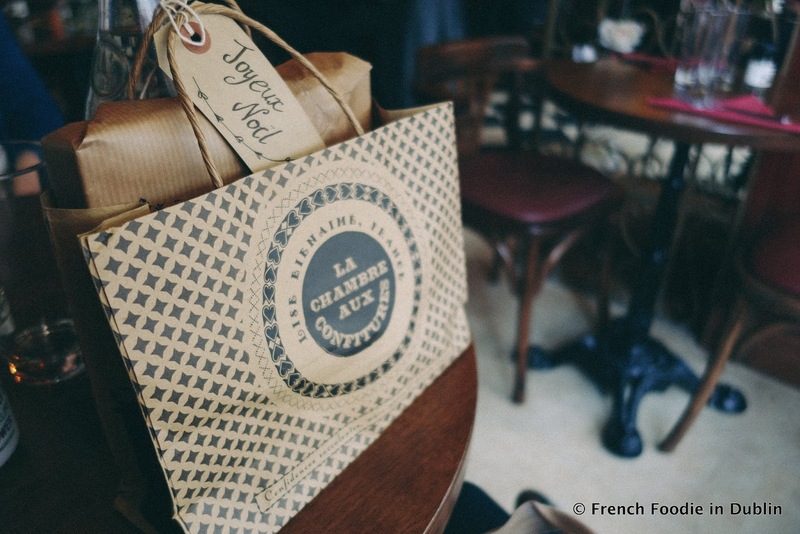 It's a habit I must have kept from living in Paris. I can't resist a place with pretty décor and DeSelby's has been on my radar since it opened late last year when I saw pictures of it on social media. 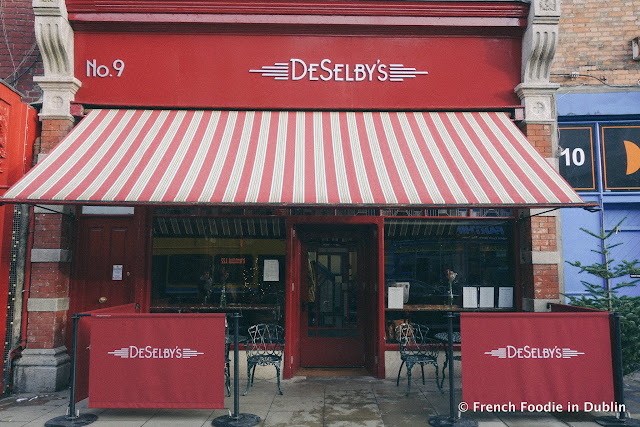 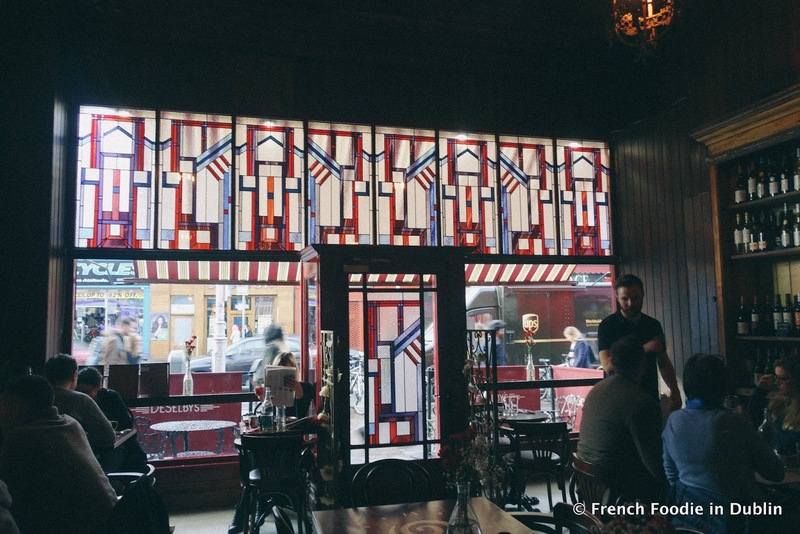 From its eye-catching red and white facade to its stunning stain glass windows, DeSelby's has to be one of the prettiest eateries in Dublin. 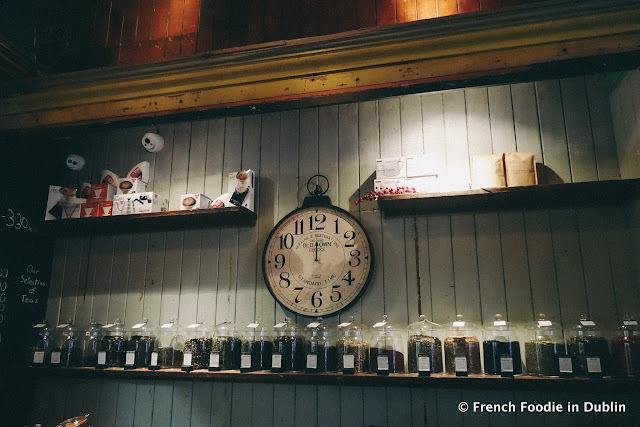 I liked it straight away as it reminded be of old Parisian bistros with its bricked walls, blackboards and bistro style chairs, so chic! It's a great change to the overused industrial style seen in many new places these days and they also have proper chairs, which is becoming quite rare now when looking for a place to sit for lunch without paying restaurant prices. 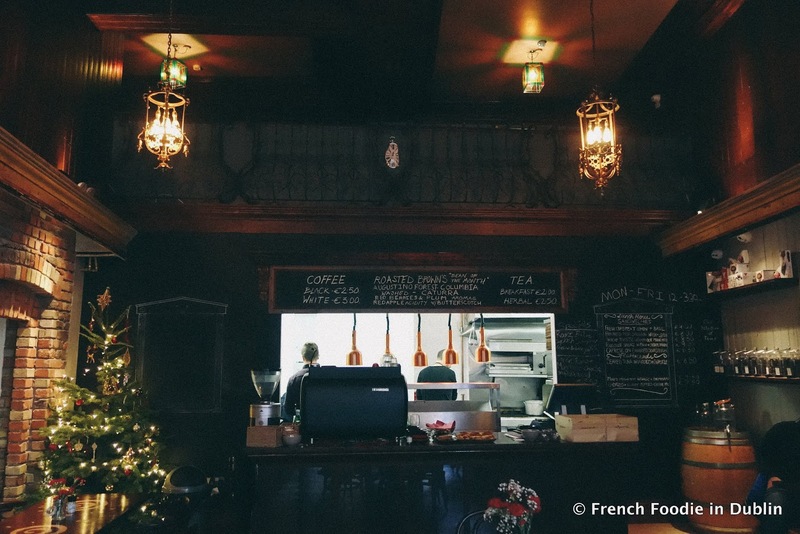 I'm not quite sure if it's a cafe or a restaurant but I think it fits somewhere in the middle; it opens in the morning, serves lunch and dinner options in the evening as well as brunch at the weekend. The menu is written on the blackboard back wall and is pretty straightforward with a short selection of sandwiches and flat breads ranging from €6.50 to €9. 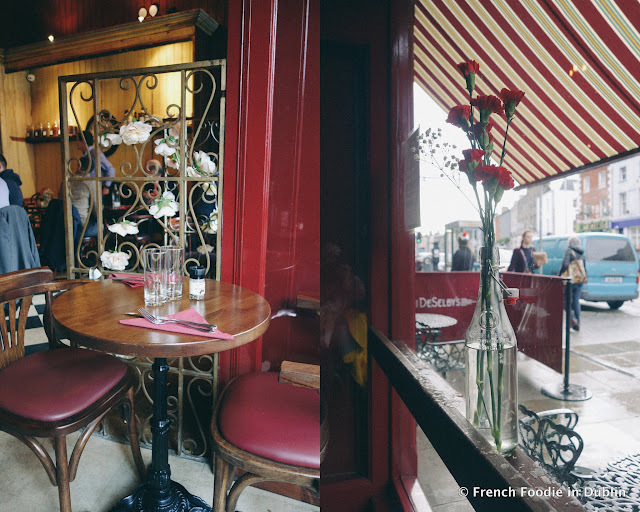 I visited in December with blogger friend Yolène for a catch up lunch, we ordered at the counter and sat by the window. Yolène ordered the fresh crabmeat open sandwich (€9). 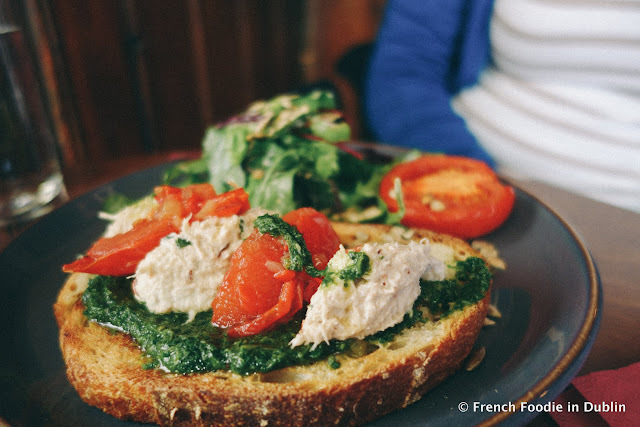 The crab was perfectly seasoned and served with basil and lemon, tomatoes and pesto on a slice of sourdough bread. 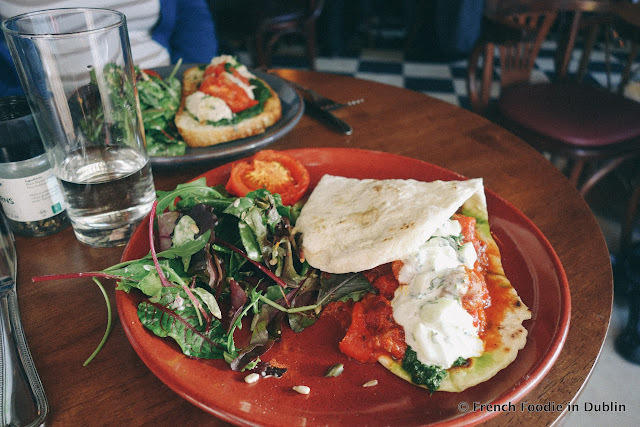 I went for a the chorizo and sweet pepper flatbread (€7.50). 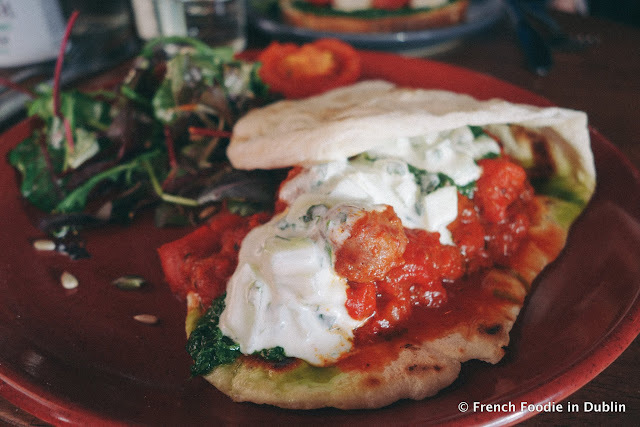 There was a substantial filling of chorizo mixed with sweet red peppers and pesto topped with a chervil yogurt sauce served on a delicious fresh flatbread. 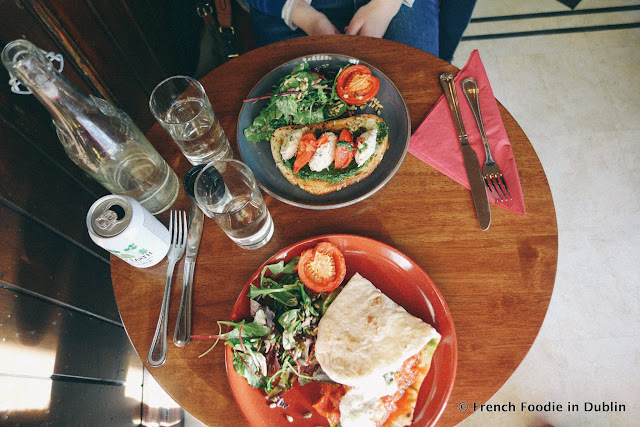 Both sandwiches came with a small side salad and while they were a little on the pricey side we both enjoyed them. 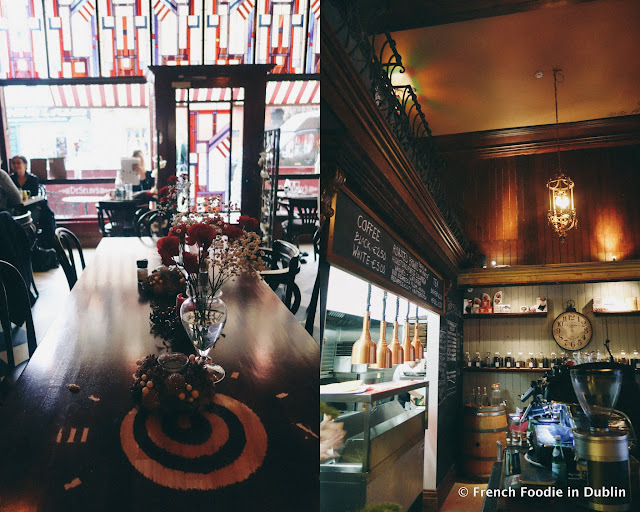 Of course you could find cheaper sandwiches in Dublin but then you wouldn't get to take your time, sitting on real chairs with table service, in such a pretty venue.